Papers filed in New York and revealed by the Torrent Freak news site said four defendants were involved. The firm's lawyer said that he believed this would be the first trial of its kind based on the use of Bittorrent. The peer-to-peer communications protocol allows users to upload and download files to each others' computers. Wiley had previously filed 15 lawsuits to obtain the identities of about 200 people believed to have infringed the copyright of its titles. It said in papers filed last October that users had "engaged in the illegal copying and distribution of Wiley's 'For Dummies' books through the peer-to-peer file sharing software known as Bittorrent". Although it said that it was unable to give a precise figure for the amount of revenue lost, it described the sum as "enormous". 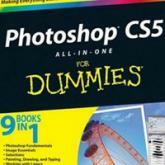 It noted that one title - Photoshop CS5 All-In-One For Dummies - had been downloaded 74,000 times over a 16-month period. The title is sold for £28. The firm signalled that it had tried to settle the cases and that its main intention was to stop the activity and publicise the fact that sharing books illegally denied authors their rightful compensation. Wiley's lawyer, William Dunnegan, told the BBC: "We are asking people who are identified by their ISPs as being copyright infringers to pay the minimum amount due under the Copyright Act as statutory damages. That sum is $750. "For the most part people are owning up and complying with the law. However, the named defendants have not." The US Copyright Act allows a penalty of up to $150,000 (£94,000) to be imposed per infringement if the accused loses the case. The Recording Industry Association of America (RIAA) and the Motion Picture Association of America (MPAA) have shied away from trying to sue individual file sharers and have instead focused on forcing ISPs to police the activity. Ernesto Van Dersar, editor of Torrent Freak, said that if Wiley's claim made it to trial it would be the first time that evidence against Bittorrent users would have been tested in a US court. "The problem they have is that their evidence will be based on an IP address which is tied to an internet connection," he said. "They also need to prove the accused was the person who committed the act using that connection - which is very hard to do."